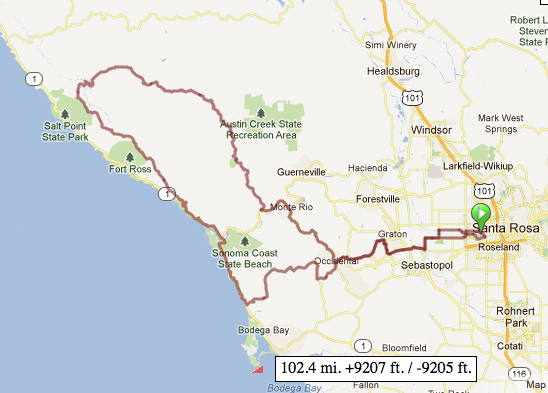 Levi's GranFondo 2012 just announced registration will open January 17, 2012 at 9:00AM PST. The long route is expected to sell out in a couple days, so get online right away and attempt to crash the uncrashable. After last year's rush to registration, and crash within 2 minutes, they claim the newly redesigned system can withstand any onslaught. Levi's Gran Fondo (presented by RadioShack) event has 7,500 spots and 3 route options to choose from. The event is located in Santa Rosa, California on September 29, 2012, and hosted by local Levi Leipheimer (OmegaPharma Quickstep). See the routes for the 2012 Levi's GranFondo.